The Spontan range from Mikkeller are beers I always look out for. They are a range of spontaneously fermented sour beers utilizing different fruits. When I heard about the latest release I knew I had to try it! 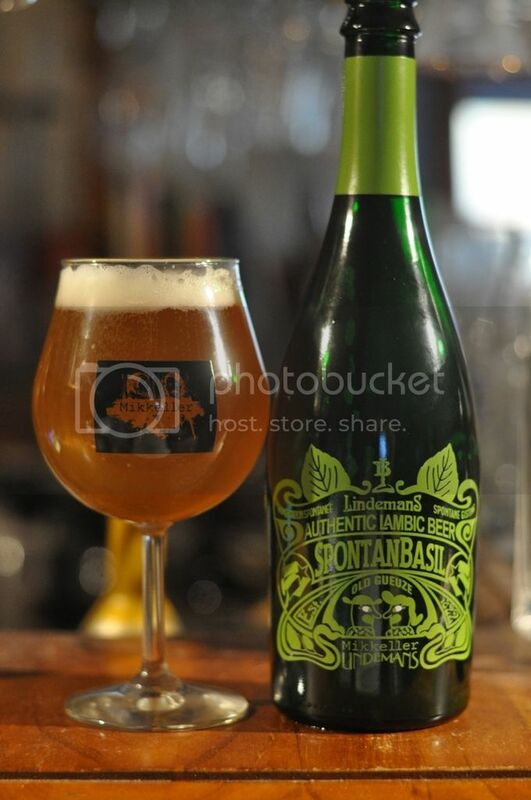 Brewed in collaboration with lambic brewers Lindemans, SpontanBasil promises to be one of the most unique beers I can recall trying. Mikkeller is the world's most famous gypsy brewer. No matter which side of the gypsy brewing debate you sit on, you must be able to admit that Mikkeller make some of the most interesting beers out there. 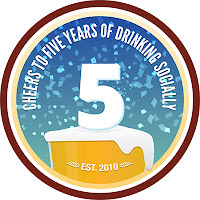 That a brewery of Lindemans standing, is allowing him to brew on their equipment shows the level of respect which is held for him within the industry. Enough of this, time to taste this! SpontanBasil pours a translucent orange colour. The beer is slightly hazy and has bubbles rising up the sides of the glass to a smallish head of off white foam. The foam is quite aerated and dissipates to a ring very quickly. For the style it's exactly what you'd expect the beer to pour like, it's a really enticing looking beer and I can't wait to get into it! Well, where to start... It's certainly weird, but I think in a good way! There is a lot of basil and some citrus as the nose indicated. It's very similar in flavour to a nice pesto. The sourness certainly isn't extreme, but it is somewhat tart. SpontanBasil is highly carbonated and finishes very dry. 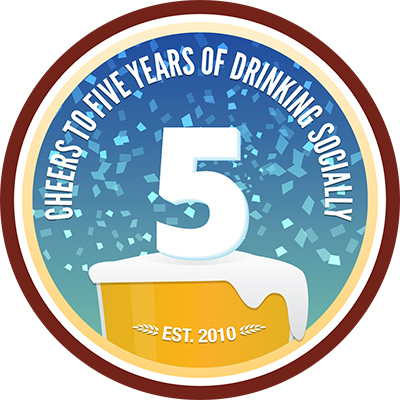 I should also add that one of the reasons I'm talking about this beer is the Untappd 5th Anniversary badge. I think the hype around this beer meant I was left a little disappointed by it. It's possibly a little young now, so I intend on putting my other bottle away and re-visiting it in about a years time. I'd really love to hear your thoughts about this beer, I'm still formulating my final feelings on this beer.